Want to volunteer at PCYC embRACE? One of PCYC Queensland’s most valuable assets is our strong group of loyal and dedicated volunteers. 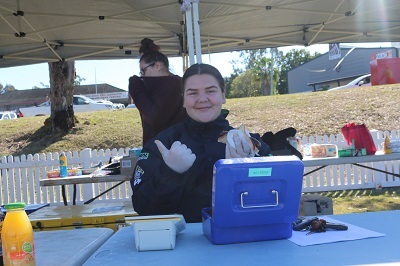 At any one time, over 2,000 members of the community are engaged in volunteering activities to support PCYC Queensland to deliver its programs and activities from the tip of Cape York to the Gold Coast. 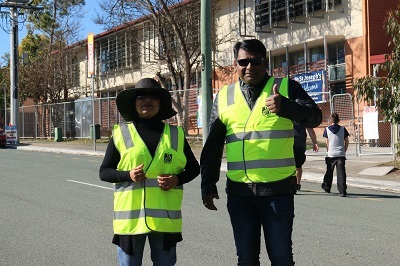 Volunteering at PCYC embRACE is a fantastic way to meet people, bond with colleagues and friends and share in the excitement of PCYC embRACE 2019. Volunteers are required for all elements of the events so there is sure to be something you can 'embRACE'. You'll work at one of the collection points for participants to collect their participant packs and assist supporters with any enquiries about the event. Want to get more experience in events or have skills in logistics support. Register as an Event Volunteer and tell us about your experience. You'll work at a designated point along the 2.5km course to provide direction and support to participants. You'll work at the Start Line and Finish line assisting participants with queries and any baggage and lost property. You'll work at one of the designated obstacles assisting participants with directions and also cheering them on! Got a big voice? We want to you! You'll be stationed at designated points along the course to cheer our participants on to the finish line! 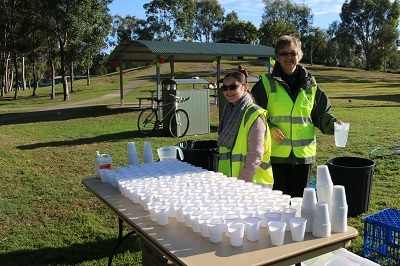 Help keep our participants hydrated by staffing one of the course's water stations.